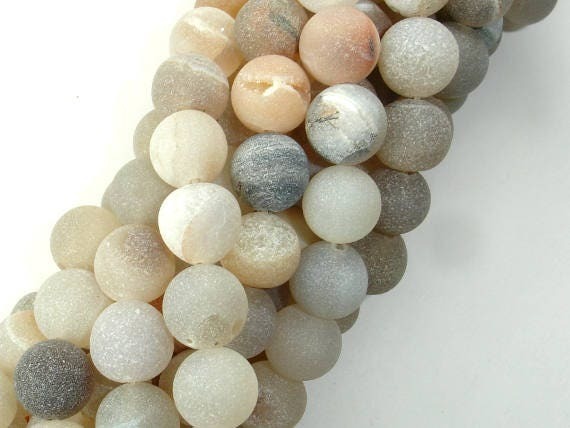 The beads feature a matte with crystal inclusions occupying the openings or surfaces of some of the beads. 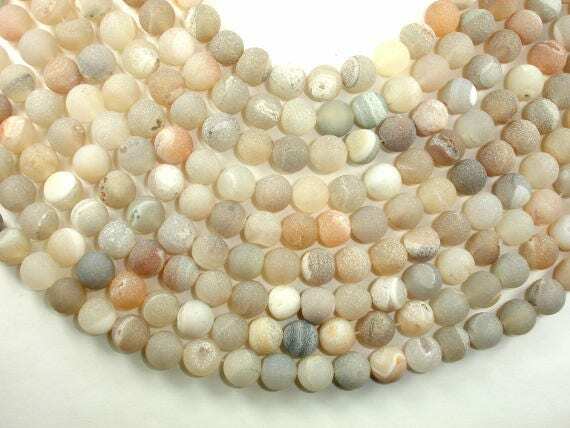 Disappointed with the druzy beads. 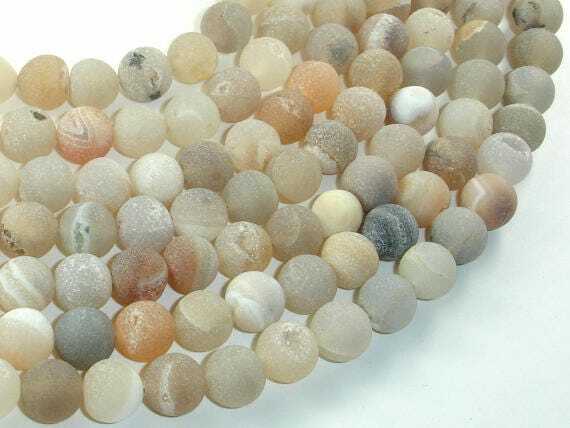 I ordered a strand which was 38 beads and only 6 of them had the crystals in them. 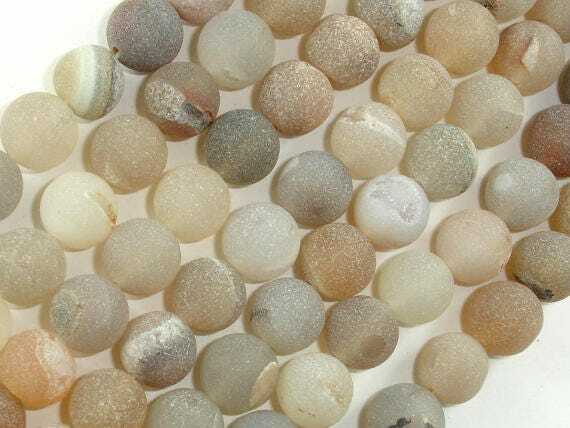 I assumed the druzy beads are meant to have a ‘sparkle’ to them. Although I don’t expect them all to have crystals, I’d assume at least half should be what you are paying for. I contacted the shop and their response was if I want more crystals I’ll have to buy more strings as they don’t restring them. 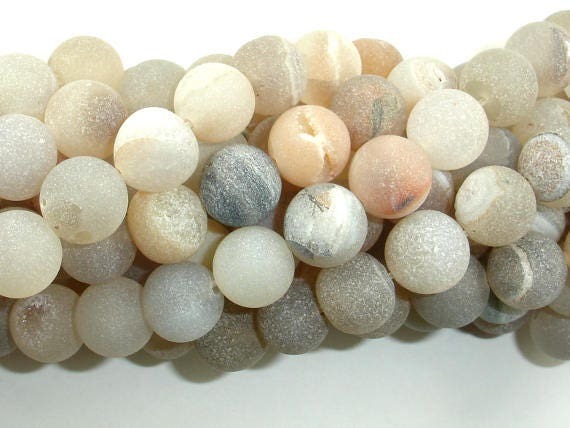 The other beads I purchased were very nice. Just the druzys were not what I thought I was paying for and I did not get any help through the company.